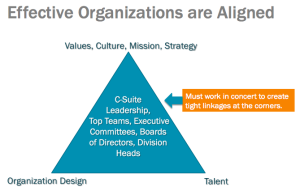 I’m frequently asked about the work we do to help corporate Boards become more integrated. How do we get a room full of very successful, outspoken and highly polarized Board members to govern together? Do we build a Board as we might an executive team? Do we coach outside directors as we would those from the inside? We have developed a reputation over the years for gaining the trust and confidence of very senior leaders, leaders who sit on many Boards. These very busy, brilliant business people don’t suffer fools easily, so it is always with a great sense of privilege that we find them choosing to buy into our belief that the best Boards have members who are fiercely collaborative. They will surely continue to compete in their own markets, but they recognize the value of adding great teamwork to their leadership repertoire. We have found that these men and women share a deep desire that the entire Board experiences success and that along with that success the business they govern will thrive and prosper. So what happens that causes a Board member to set aside his or her highly energized agenda to focus on what will most help others become comfortable and feel heard? The answer to this question is complex but the principles are fairly straightforward. So we thought we would start a discussion about effective Board member integration by sharing the underlying beliefs that shape our work. These principles and some practices are chronicled here and all we ask is that you take a look and let us know what you think. There are a lot of Boards out there that need better integration. The National Association of Corporate Boards (NACD) estimates that 8 of 10 Boards are operating without being fully integrated. Of the two that are somewhat integrated, they will undergo a change within the year that will throw off their alignment. There is plenty of work to do so it is important that we open up the discussion and test our practices and assumptions. Effective board member integration and alignment is foundational to business performance and success. The structure and processes for effective governance set the tone—internally and externally—for how the organization is perceived and operates. Board dynamics are seldom discussed openly, and if those dynamics are less than functional they will likely stifle the board’s ability to effectively problem solve and decision make – to become truly high performing – to govern. Facilitate a “just in time” integration process to enable all board members to successfully integrate while engaging in the work of the board. This unique process aligns all board members around the duties and priorities of serving on the board. Continually surfaces and satisfies the unresolved needs of members in ways that align with the board’s role. A highly experienced and skilled process consultant attends all board meetings to ensure members gain skill in process observation and communication. The process consultant is also versed in all aspects of board governance and is business savvy. For a Board to be high performing, its members must be fully integrated, not simply oriented. Integrating picks up where orientation and onboarding ends. It happens “just in time” as meetings are underway and in the white space in between the meetings. Even at the onset of a “new” Board with a large number of new members, all members share some common ground, even if it that common ground is simply that they collectively share responsibility for governing the same corporate entity. Board members are actively engaged in highly charged group settings with sophisticated dynamics at play. Members can use help understanding how to navigate the dynamics, something that is seldom talked about, taught, reviewed or expected at the Board level. Board members who become adept at process observation and intervention are able to help the entire Board operate at a higher level of effectiveness. The more senior and isolated a Board member is the more he/she appreciate getting feedback from a business savvy, yet non-obtrusive observer of Board business. When Board members know what to expect from a process consultant, how confidentiality will be protected and how they can tap into the consultant’s expertise and perspective, they will begin to use the resource of their own free will. 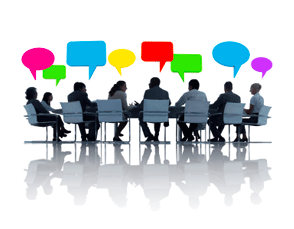 Board members must always receive feedback and support in a private setting, after having been asked to share their observations. Once Board members begin to use the advice given to them by the process consultant, and they start to seethe results, others will follow suite, using the time to first express their point of view about process needs before tapping into the Board consultant.